Silverlit created these Hip-Hop animated animals that rhythmically dance to the music and have multiple LEDs that light up with millions of color patterns. 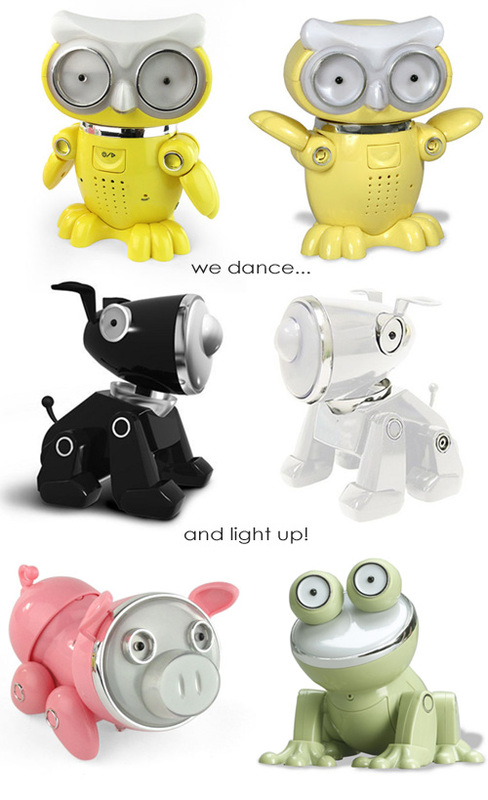 These pet speakers are available in cool animal designs including owl, dog, pig and frog. They'll connect to you personal computer, portable media players, dvd players and mp3 players. Available here.